How did the first Christians carry this out? 18:5-11 Crispus, all his household. So what can I learn about baptism from the Book of Acts? The Christian church baptized entire households (including children), women and non-religious people (called “Gentiles” in those days). This was revolutionary at the time. Some of the baptisms were by “immersion” (dunking). At least one (Paul’s baptism) was not. He was baptized in a home with no running water. Ever try to carry enough water to immerse someone? There are no explicit instructions anywhere in the Bible about age or amount of water to be used. Does Emanuel baptize infants and young children? 1) That infants need to be baptized immediately after birth in case something happens to them and they miss the ticket to Heaven. 2) That everyone has to wait to the “age of accountability” (a phrase which doesn’t occur in Scripture). We believe that the best reason to be baptized yourself or to baptize your family is because you feel led by the Lord to do so! To say that this invitation excludes all family baptisms (which were practiced back then) seems legalistic. We will not teach a legalistic theology of baptism at Emanuel Lutheran Church. Can I baptize my child if my spouse objects? No. It’s morally and legally out of bounds to baptize a child against a parent’s wishes; unless the child chooses to do so on his/her own. Do you do water-free public infant dedications? Any child can be prayed for and dedicated to the Lord at any time and we would never forbid that. Our Lutheran faith family has no such custom rituals in place of baptism, and don’t see them commanded in Scripture, but we don’t criticize other faith families for practicing this. It’s just not a part of who we are. Is it too late for me to be baptized as an adult? 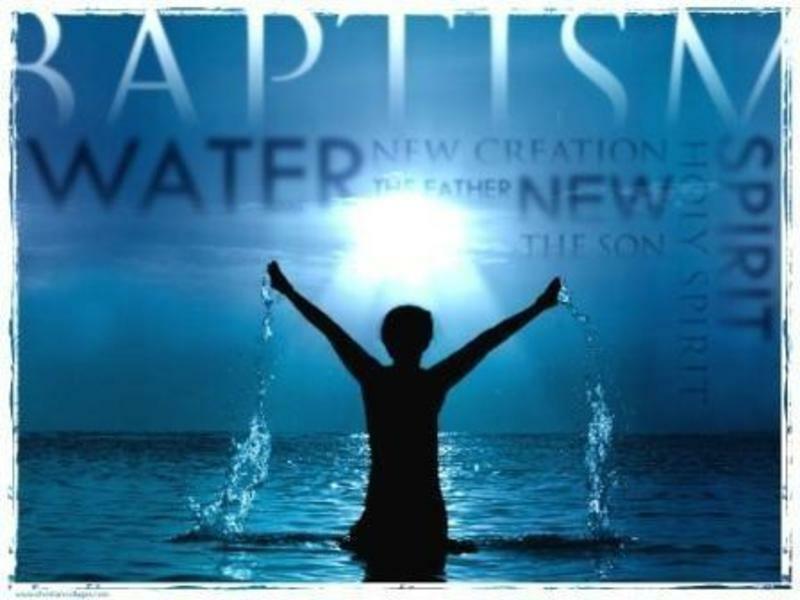 I was baptized as a (Catholic, Methodist, Baptist, fill in the blank…). Do I have to get rebaptized here at Emanuel Lutheran? No! If you were baptized with water in the name of the Father, the Son, and the Holy Spirit, your spiritual software is compatible with us! If I was baptized as a child, but my faith has just now come alive. Can I get rebaptized? We believe your first baptism was valid forever and you don’t need to renew it like a booster shot. However, you can re-affirm your baptism in a number of ways; much like people to renewals of wedding vows, even though their first marriage is still “valid.” We would love to work with you on this so you can find a great way to say yes to God and to baptism! Does baptism serve as an “insurance policy” for salvation? It is possible to be saved without baptism (the thief on the cross: Luke 23:43). And it is possible to be baptized and still end up in H-E-double-toothpicks! We are saved by grace through faith (Ephesians 2:8-9), not by any ritual; even one as beautiful as baptism. Do you offer baptisms by immersion? Yes! We can baptize by immersion in a lake, river, swimming pools and even hot tubs - depending on the coordination of this blessed event but the strong desire is to be baptized within the context of the worshipping community here at Emanuel so we may support you. Anyone can baptize. We are developing a beautiful custom here in our faith family, having fathers (where possible) take part in the baptism with the pastors and actually say the words and pour the water. Even as mothers bring children into the world physically, fathers play an important role in blessing children and helping lead them into the world spiritually. Many fathers find this a very moving moment in their lives when they help baptize their children. We mentioned that anyone can baptize; but for it to be an official Emanuel Lutheran Church baptism (which is probably why you’re reading this...), we’d like you to work with Pastor Chris. Do we need to find godparents/sponsors? We encourage this but don’t require it. It’s a practice not found in the Bible. But it helps to have people stand by us during such important times. Try to choose godparents/sponsors that will pray with and for the person to be baptized. What if I want a private baptism? Like a wedding, a baptism is best done in a group for the sake of celebration. If, however, self-consciousness is the only thing keeping you from getting baptized, we can have appropriate discussions regarding this isssue. Can I photograph the service? Yes, but please refrain from flashes during the service. You can take lots of pictures before and after the service, with or without flash. Underwater photography is encouraged! Everyone! Get dressed up. Take pictures. Have a big meal afterwards with the people you share your life with.